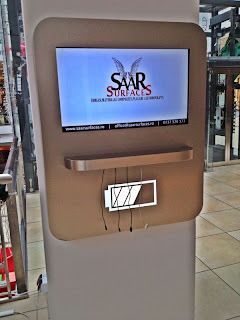 What if you found stations to charge your phone in shopping malls? Would you leave your phone there and go? I guess NOT; yet, waiting could be very boring. 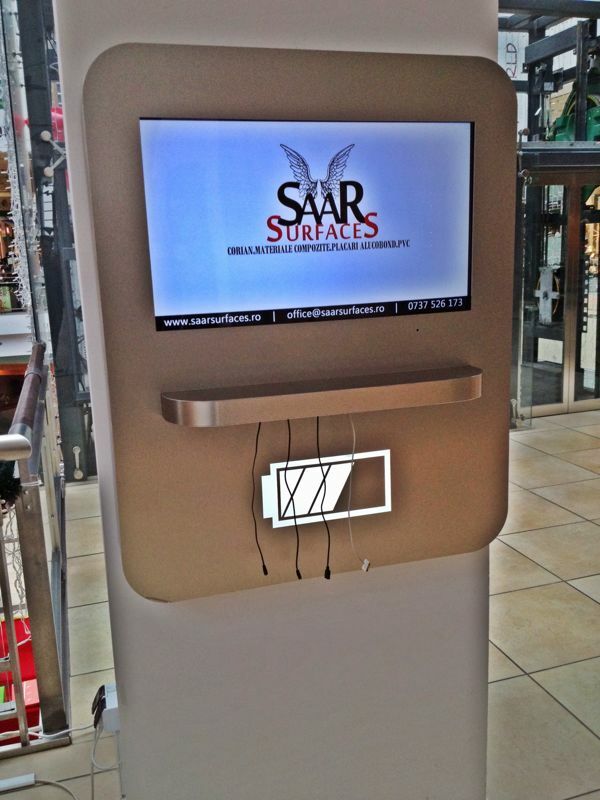 What if you were presented with an advertising screen, with some rather interactive ads? Would they be welcomed or intrusive? I have a tendency to forget to fully charge my phone, and it has a tendency to use its battery really quickly... so this would be awesome. They have similar stations like that in the airports, I've seen a couple in Boston, but they don't have interactive ads. Just a plain banner. I agree, we all happen to forget to charge our phones, or sometimes just simply overuse them during a long day out. This would be really useful.